They’d upload a list of product terms and related topics—moisture resistant flooring adhesive, subfloor moisture proofing—and their keyword research tool would spit back hundreds of “0 searches per month” results. Their typical buyers—facilities managers, architects, and commercial designers—rarely used social media. Their industry didn’t exist as a category on Medium; you’d never see “#moisturemanagement” trending on Twitter. Complex, with products that require deep expertise to understand and use. Niche, offering highly specialized products that are used in a handful of uncommon situations. Localized, where the entire buying process happens within a small—sometimes offline—network. New, when products are so cutting-edge that few people know they exist, let alone that they should search for them. These obscure B2B niches seem completely resistant to content marketing, but they’re resistant only to one application of content marketing: writing blog posts to target high-volume keywords. Content, including articles, guides, and case studies, can still generate prospects and customers consistently—you just need to approach distribution from a different angle. All this, despite the fact that nobody had heard of the “subscription economy.” Netflix had barely started experimenting with online video. Spotify was in its infancy. Dollar Shave Club was still three years away from creation. Instead of writing about industry best practices, they shared contrarian perspectives. Zuora was the first and loudest proponent of the controversial idea that subscriptions were much more than a new payment methodology—they were the heart of the modern economy. Instead of tackling simple, well-defined concepts, they spent time and energy defining amorphous ideas. They took a host of seemingly fragmented industry changes—customers demanding more from their vendors, customer relationships lasting years instead of days, competing businesses appearing virtually every day—and found the common thread that tied them together: more companies and customers were switching to subscriptions. Instead of chasing existing keywords, they coined their own. They wrapped up their entire theory in a pithy, if rarely used, concept. Today, the term “subscription economy” has entered the lexicon of businesses the world over. We call this movement-first content: articles designed to inspire and build credibility, instead of educate and target keywords. You know movement-first content when you see it. It’s sometimes called thought leadership content. Some people call the posts “essays” instead of articles. It looks and feels very different from content optimized for search since it isn’t beholden to any SEO tactics like word count and keyword density. It built credibility with decision-makers. By shifting the focus away from basic educational content and toward high-level inspirational concepts, Zuora inspired the elite and discerning audience it intended to sell to—CEOs, founders, and executives. It created powerful network effects. The company’s early articles were rarely discovered through search. Instead, they were shared in company Slack channels, emailed between VPs and investors, and featured in industry newsletters. Most important of all, it built a defensive moat around their business, even though the “subscription economy” took months to gain recognition, and years to become well-known. Zuora’s founder Tien Tzuo is now regarded as a visionary, a man who predicted the shift to subscriptions before anyone else. The strategy offered little ROI in the near-term, but the company’s tenacity means that, today, Zuora is the dominant player in a software niche they effectively carved out for themselves, with other companies left to piggyback on their success. This approach isn’t just limited to enterprise companies. HubSpot’s Inbound Marketing captured the zeitgeist of a jaded marketing industry, rife with pushy, invasive tactics, and offered a vision of helpful, educational marketing in its place—resonating with their audience of marketing managers and executives in the process. 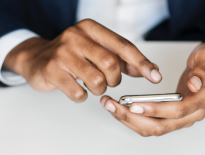 Copper’s Relationship Era does the same for the sales industry, and Dialpad’s Anywhere Worker paints a picture of simple, streamlined communication for SMBs. Most businesses have a handful of target accounts they dream of closing—big, prestigious companies that could generate a whole lot of revenue in a single deal. For a flooring company I worked with, that white whale was Hilton Hotels: one company in charge of flooring purchases for 14 global brands across 5,000 locations. They adopted an approach we refer to as account-based content—creating articles and guides tailor-made to the needs of a single target account. This wasn’t broad-brush outreach, sending generic copy to thousands of contacts: This was carefully crafted, hyper-specific outreach, delivered to a dozen or so people at a single company. They anticipated the chain’s biggest challenges, drawing on their experiences with similar companies to flag the biggest problems Hilton was likely experiencing—rapid carpet degradation in lobbies, corridors, and meeting rooms, labor-intensive cleaning and maintenance, and huge replacement costs for damaged carpeting. They loaded up on social proof, showcasing how other hospitality businesses had solved the same problems by switching to their brand of flooring, highlighting the testimonials and cost savings that resulted. They extrapolated the potential savings across the entire business, offering simple but compelling projections of the financial impact this seemingly minor change could have on the entire Hilton business. Cold email—using the data enrichment tool Clearbit (shown in the GIF below) to find the email addresses of key decision-makers at Hilton and emailing them a direct link to the case study. LinkedIn Sponsored InMails—finding Hilton contacts through LinkedIn and paying to send a sponsored InMail message directly sharing the case study. Direct mail—going the old-fashioned route and sending a printed case study straight to each executive’s office. Clearbit data made it easy to find the right contacts for account-based content. The emails and messages were simple and direct: We’ve helped companies like yours save a small fortune. We can do the same for you. Here’s the proof. Even in an industry swimming in spam and cold outreach, the approach worked. The case studies were so obviously tailored to the specific needs of Hilton Hotels that the executives couldn’t help but pay attention—opening up a direct route of communication with every decision-maker involved in purchasing. Run a Google search for almost any niche B2B industry, and instead of hundreds of beautifully optimized blogs and thousands of engaging articles, you’ll find a handful of niche, old-fashioned websites. These sites are often straight transfers of physical magazines, complete with editorial columns, industry news, and upcoming events. The British call-center industry is a perfect example. 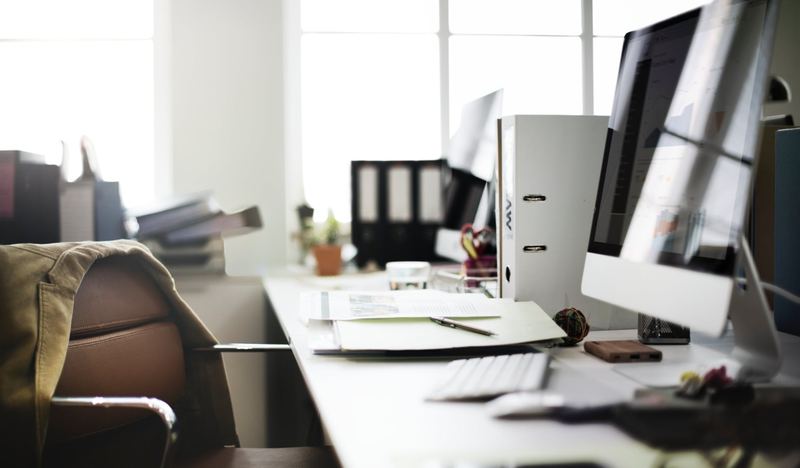 Speak to any number of call-center professionals, and they’ll recommend a single website as their go-to source for articles, opinions, resources, discussion, and events: Call Centre Helper. Set up in 2003, the website has a strong network-effect moat that makes it harder for other blogs and publications to compete. It’s been the industry’s go-to resource for 15 years, covering every imaginable nuance of call-center operations in a staggering level of detail. These old-school websites are a goldmine of potential customers. They cater to a concentrated audience of executives and managers—a veritable “who’s who” for any given industry. They create, curate, and share content on a regular basis, and, most important of all, are usually very receptive to guest contributions or sponsorship—providing an opportunity to get your business in front of thousands of extremely relevant eyeballs. Webinars, like this webinar targeted directly at call-center managers looking to improve performance. Articles, case studies, and eGuides, like this analytics whitepaper written by, you guessed it, a company offering call-center analytics software. Free tools, like this Excel model for calculating how many call-center agents are required for a given call volume and desired response rate. Industry and trade magazines, either online or offline, like World Pipelines magazine in the oil and gas industry or CowManagement magazine in the dairy industry. Niche industry newsletters, like Call Centre Helper newsletter. Personal blogs, typically those long-established, poorly search-optimized blogs with a committed readership but little online footprint—like this example from Jeff Moore, one of Google’s recruiting leaders. 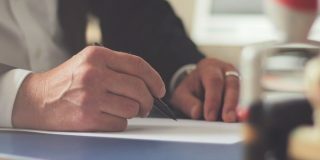 By partnering with any of these specialized publications, you can reach an entire industry—executives, founders, and senior managers with the power to purchase your product—with a single piece of content. Niche products are almost always part of a bigger, broader ecosystem of products. Electrical components might be an integral part of guitar amplifiers. Obscure supplements have an important role to play in ketogenic dieting. Returning to our earlier example, moisture-resistant adhesive is a small subsection of the commercial flooring industry. 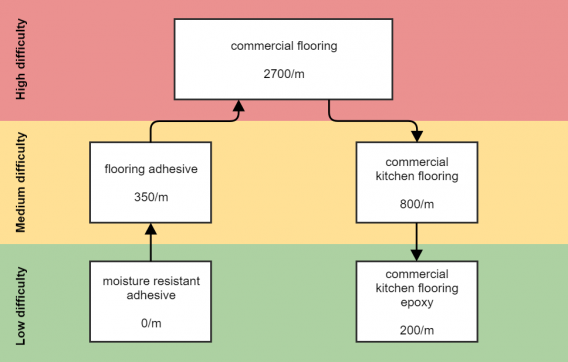 In this instance, “commercial kitchen flooring” is a subset of “commercial flooring.” Although we’re looking at a similar difficulty rating as our flooring adhesive keyword, this particular niche has significantly more keyword volume—800 instead of 350. Apply the process again, and we find “commercial kitchen flooring epoxy.” This keyword is just as easy to rank for as “moisture resistant adhesive,” but instead of 0 searches per month, we’re looking at 200. Crucially, a subsection of that traffic will have an interest in our flooring adhesive. Target enough of these related keywords, and it’s possible to generate a steady stream of customers—we just need to separate the wheat from the chaff. I think of this as vertically integrated content: In the same way that glasses manufacturer Luxottica famously controls every step of the sales process—product development, manufacture, logistics, and distribution—we’re creating content to target the entire ecosystem of keywords our product exists in and siphoning off the small but lucrative portion of visitors that might become customers. Encourage self-selection with highly specific CTAs. 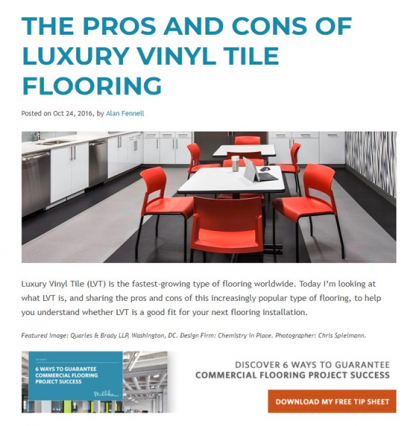 In the example below, a flooring manufacturer is targeting a big, broad, high-volume topic—the pros and cons of vinyl flooring—and promoting a highly specific B2B-focused offer: 6 Ways to Guarantee Commercial Flooring Success. Relatively few visitors will engage with the offer, but those who do are virtually guaranteed to be a great fit for the company’s products. Raise awareness for the niche problem you solve. Some products are niche because of a lack of awareness, and these high-volume articles present an opportunity to educate your visitors. This particular company specializes in a type of flooring that’s often sold as an improvement upon vinyl. By writing about the pros and cons of vinyl, they can introduce their flooring as an alternative and encourage visitors to view their product line. Once these potential customers have self-selected, more conventional marketing tactics can be used to encourage them to the point of sale: sending lead nurturing email sequences, sharing case studies and sales collateral, and offering discounts or special offers. 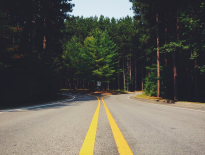 In many ways, this approach is anathema to traditional content marketing. It generates lots of irrelevant traffic. Conversion rates will drop through the floor. But, ultimately, it generates paying customers—and that’s the only metric that really matters. For a CRM tool, ranking for high-volume, product-related questions like “What’s the best CRM software?” can generate a wealth of prospects and customers. No matter how niche your industry, there’s a good chance you’ll find hyper-specific, hyper-relevant questions on one of these sites. You, as an expert in your industry, can answer these questions. Though any single answer might generate just a handful of views and responses, each visitor will have an interest in your industry—and your products and services. Create content to answer hundreds of these questions, and, in aggregate, you can reach a huge audience of relevant prospects. Demonstrating credibility and proving his expertise in the SaaS industry. Building brand recognition and social proof, exposing his name and business experience to audiences of potential prospects. Funneling prospects to his website by using his author bio and in-answer links to promote his company, his investment fund, and other businesses he’s affiliated with. Enter the site domain—like https://www.quora.com—in the Site Explorer tool. Use the “Top Pages” report to order pages by their organic search traffic. Filter by your chosen keyword—say, “SaaS”—to find relevant questions with high traffic. As well as attracting visitors from within the Quora network, answers regularly rank for dozens of search keywords—in aggregate, that’s often hundreds of potential prospects reading each of your answers. There are thousands of B2B industries that seem too complex or too niche for content marketing. 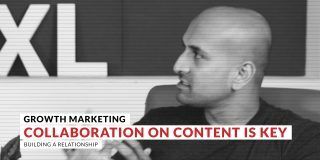 In reality, content can still be used to generate leads and customers—it just requires a different strategy to create and distribute content in the right way. Build credibility and leverage network effects by sharing essays loaded with contrarian opinions and novel ideas. 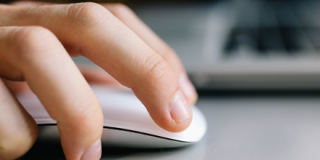 Create detailed case studies tailor-made to the needs of a single target account. Partner with niche industry publications and share exclusive articles, webinars, and tools. Create content spanning the entire product ecosystem, and use highly specific CTAs to encourage prospects to self-select. Answer hyper-specific questions in industry-specific forums and communities. Ryan Law is a Content Manager at Animalz, a high-end content marketing agency for SaaS, tech and crypto companies. You can find him on Twitter, and through his weekly content marketing newsletter. Previous Article Freemium vs. Free Trial: Which Gets You More Paying Customers (Not Just Freeloaders)?